Spring is here and so is another great show this Sunday, April 21st! Spring is here and there are great items and deals to be found at the Arbutus Record Show this Sunday! Not only do we have the return of our great, long time vendors, but there are some interesting newcomers as well. 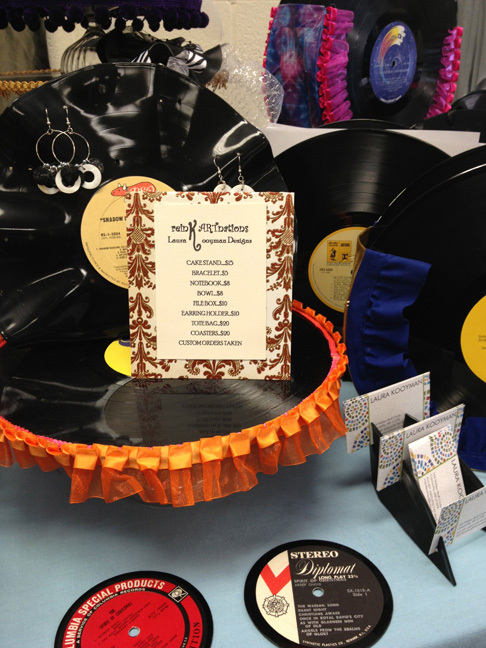 Mother’s Day is coming up in May and we have a vendor with a whole “new spin” on repurposing vintage albums as gifts for the special ladies in your life. 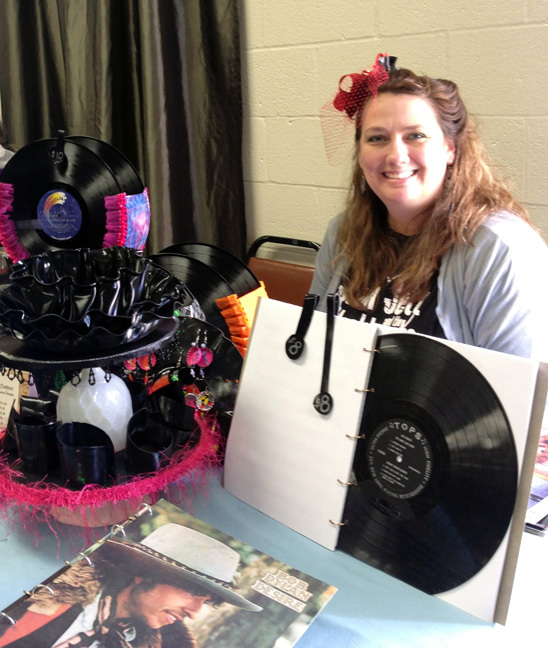 An art teacher, Laura Kooyman of ReinkARTnations has created clever items manipulating old lps. 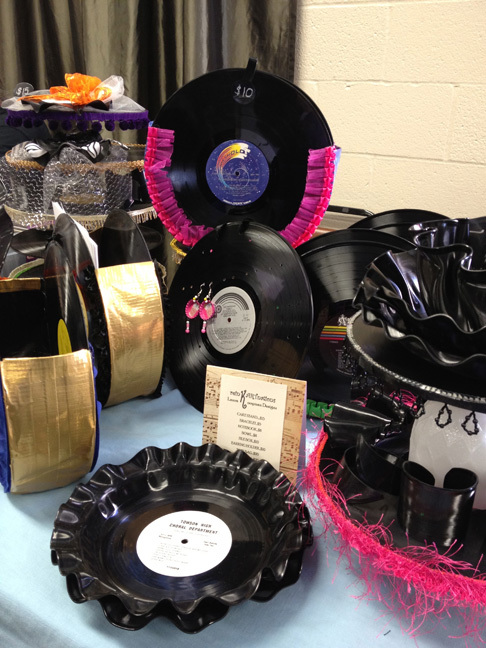 They include cake stands, bracelets, notebooks, coasters, earring holders and so much more. Come to the show and meet new vendor Laura Kooyman! This entry was posted in albums, books, CDs, christmas, collectibles, country, gifts, jazz, music, RnB, Rock n Roll, rockabilly, vintage and tagged gifts by arbutusrecordshow. Bookmark the permalink.